1 pcs CD capacity, and 4 small pockets, easily to put in and take it off. You can use this Car CD Pocket to place not only CDs, but also tickets, cards and pens, etc. Easy to carry and install,It is a multi-functions guy, not only enable to put the Cards inside, but also can store name cards, your glasses. 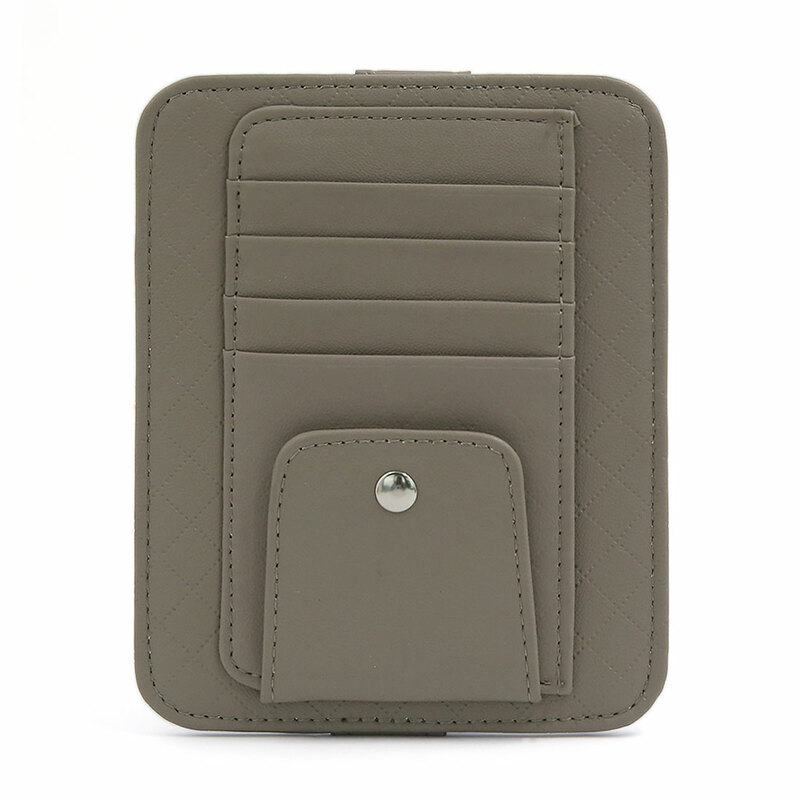 With this Faux Leather CD Case, it will bring you much convenience in driving! Safe to store and protect cards from dust, moisture. Quick to look for,very convenient for drivers. Install the case to the car sun-visor and easy to pick up other items when you are driving.